Earlier this year, I had the pleasure of hearing Jim Fleming address BLDGBLOG’s Glacier/Island/Storm class at Columbia University’s GSAPP. Fleming teaches the history of science and technology at Colby College, and is the author of a recently released book on the fascinating topic of climate engineering, Fixing The Sky. IMAGE: Previously classified images of Starfish Prime, from NPR’s awesome slideshow. As all the best lectures do, his presentation left an intoxicating assortment of anecdotes, ideas, and references in its trail. One of those stories has since seen the light of day on NPR: if you missed Robert Krulwich’s slideshow and report on the rainbow bomb parties of 1962, fix that omission now! 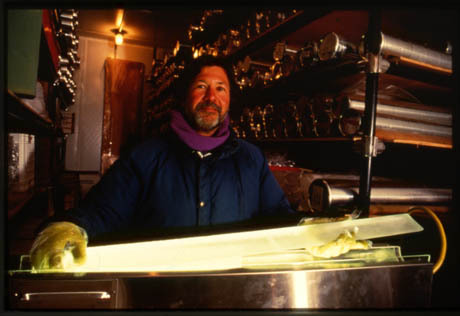 IMAGE: Paul Mayewski with an ice core. A hundred and thirty-eight feet down, there is snow that fell during the time of the American Civil War; 2,500 feet down, snow from the time of the Peloponnesian Wars, and 5,350 feet down, snow from the days when the cave painters of Lascaux were slaughtering bison. […] As the snow is compressed, its crystal structure changes to ice. But in most other respects, the snow remains unchanged, a relic of the climate that first formed it. Dr. Paul Mayewski, Director of the Climate Change Institute at the University of Maine, was kind enough to indulge my curiosity on the relationship between glacier vintage, terroir, and taste, as well as what’s involved in actually getting hold of one of these refreshing, astonishing ice cores. Our conversation ranged widely, from the ineffable feel of 2000 year-old effervescence to ideal and inaccessible ice core sites around the world. IMAGE: Paul Mayewski drilling in Antarctica. Edible Geography: First of all, where do the cores at the Climate Change Institute come from? Paul Mayewski: They actually come from all over the world. Several years ago, I started a program called ITASE — the International Trans Antarctic Scientific Expedition — in which I managed to involve twenty-one different countries who were all collecting ice cores from all over Antarctica. I led the US part of the program, which has probably allowed us to collect ice cores from a good quarter of Antarctica. In addition my team and I have collected ice cores from throughout Greenland, throughout the Himalayas and the Tibetan plateau, Iceland, New Zealand, and, as of the last few years, we’ve been starting to work in the Andes, in Tierra del Fuego. Those are just the ones that I’m involved in — I have colleagues in the Institute that also work in Alaska and the North-West Territories. IMAGE: From the 2006-7 US ITASE expedition to Antarctica. Edible Geography: How long does it take to drill a single core? Mayewski: Well, it depends on where it is and how deep you’re going. I ran a program in Greenland that recovered what was probably the deepest core that will ever be recovered in the Northern Hemisphere, from the center of Greenland. It took us three summers of reconnaissance to find the site — just traversing across Greenland a few times, on the snow — and then it took five summers, each three to four months long, to actually drill down a little more than 10,000 ft. That was a major effort, but it had a big reward. We discovered what are called “Abrupt Climate Change Events” — the fact that the climate system can go through dramatic shifts in less than a year or two, and then stay in new states for several hundred years as a consequence. That was a particularly deep core. In Antarctica, for example, we can drill a core that is a hundred metres deep in maybe three to five days. But we’re still gone on the expedition for many weeks or months, because we collect more than one core, and because these are remote places, so it takes a long time to get there. IMAGE: The February 2010 University of Maine Climate Change Institute expedition to the Tupungatito Glacier in Chile. Photo by Dan Dixon; part of a narrated expedition slideshow. In places like the Himalayas and the Tibetan plateau, we might only collect one core, but it could take us two to three months to actually get in and get up to 20,000 ft plus, where we collect the cores, and then come back home again. It’s similar in the Andes. A field season is typically several weeks to several months, and we might collect one core that’s between fifty to a hundred metres long, or many. And we have multiple programs going on during the year. Edible Geography: When you’re doing your reconnaissance, what are you looking for? What are the signs that tell you this is going to be a good place to drill a core? Mayewski: It depends. If you’re only interested in the last couple of hundred years, then you can drill pretty much anywhere in Antarctica or Greenland, except in the very coastal regions where it might be a bit too warm. We do look at time periods going back a hundred thousand years, but lately most of our work is focused on the last couple of hundred to couple of thousand years, because that’s where you can get the greatest perspective on what’s happening today and contribute to predictions for the future. In places like the Tibetan plateau, the Himalayas, and the Andes, it’s very hard to find good sites, because you need to be high enough that there is little or no melting. That means we typically have to be above 18,000 ft, no matter where we go. You need to be in a place where the ice is thick enough to provide a decent record, where the winds are not so strong that they’ll blow a year’s worth of snow away, and where the flow of the glacier is understandable. You might have to traverse through a place that’s heavily crevassed, but you can’t drill where it’s heavily crevassed because the record would be broken up. Typically, we focus our reconnaissance in the highest, flattest, interior portion of a glacier. Edible Geography: What does it take to get the core back to the lab? Mayewski: There are two ways that we get the core back. If we’re in a very cold place where logistics are moderately available, we might collect it and put it in a tube. 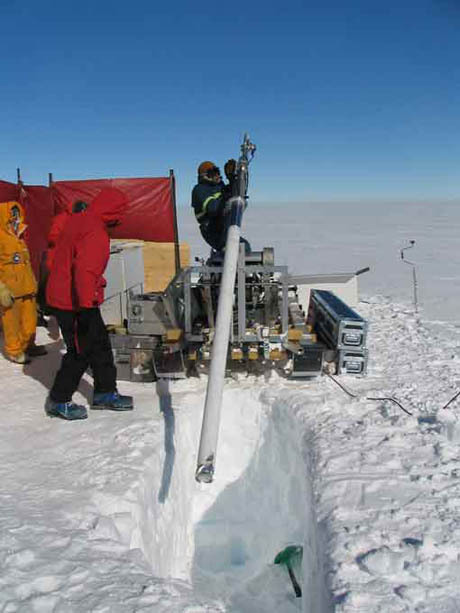 It’s cold enough in Antarctica that we can drag it around on a sled while we pick up other cores. Then we’ll have something like a ski-equipped C130 that will land close to us, and take the core in the tube back to our refrigerator system on the coast of Antarctica, and from there, it will go into a ship with a refrigerator system. 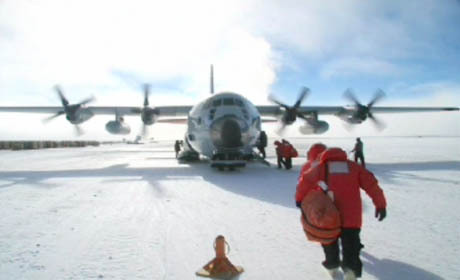 IMAGE: Loading into a transport plane, Antarctica. Still from Wall Street Journal science columnist Lee Hotz’s TED talk, Inside An Antarctic Time Machine. At Mt. Everest, we work with the Chinese on the north side, and they had a freezer truck that they were able to drive up to base camp, which is at about 12,000 ft. We were working at about 22,000 ft or so, and although it takes a long time to get up there and acclimatize, we would bring the ice core down at night and put it in the freezer truck. The other places we’ve been working lately, like the Andes, there’s really no way of recovering frozen ice and actually getting it home easily, at least where we’re working. So we actually cut it in the field, but it requires some really stringent contamination controls. 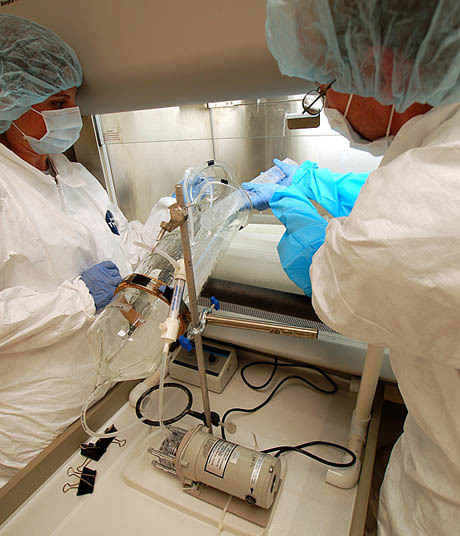 It’s not that it’s complicated — it just requires a lot of care and equipment. We want to collect the inside of the core, which has not been contaminated during drilling, and cut it in a way that will not contaminate it. Then we bring it back to the lab and melt it. 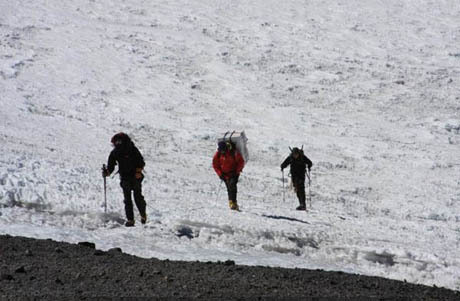 IMAGE: Paul Mayewski hauling gear during the February 2010 University of Maine Climate Change Institute expedition to the Tupungatito Glacier in Chile. Photo by Dan Dixon; part of a narrated expedition slideshow. Edible Geography: Presumably even if the core can go in a truck or a ship, it still has to be segmented before it can fit? Mayewski: For the samples that we melt in the field, we cut them into the sample resolution that we want analyzed, which is typically ten to thirty samples per year, continuously, so you can tell the difference between the seasons and pick up some storm events, and so on. Then for the cores we bring back frozen, we cut them into one metre sections, because that’s a manageable piece of ice to lug around. Edible Geography: At each different location, is a year is a different amount of ice? Mayewski: Yes, exactly. In a place like New Zealand, a year is maybe eight metres of snow. Where we work in the interior of Antarctica, a year might be two centimeters of snow. Edible Geography: To analyse the cores, do you start by melting them, or are there things you can learn from an ice core without melting it? Mayewski: You can certainly learn things without melting the cores. You can look at the stratigraphy, which might show you changes in the presence of dust layers. In Asia, for example, you get a dust layer at least once a year in the springtime. You can look at changes in the density of the ice, because typically in wintertime, when it’s colder and the wind is a little bit stronger, the ice is usually a little bit denser than during for the summer season. IMAGE: Section of ice core from the Greenland Ice Sheet Project, representing a span of roughly 38 years formed during the last ice age, approximately 16250 years ago. Photo via Wikipedia. There are some other non-destructive analytical techniques. For example, you can look at the electrical conductivity of the ice, which will tell you what the bulk chemistry is. All of these techniques are very valuable, and they’re a good place to start, but if you really want to understand changes in the greenhouse gas content or the pollutant level, or change the ice record into a legible record of temperature, precipitation, storm patterns, biological productivity, volcanic activity, and on, and on and on, then you really need to segment the ice core into small pieces that you can then melt and analyse. Mayewski: No! [laughs] No. We have several ways in which we can section a core. One method is to take the core and physically scrape the outside off, removing anything that might be contaminating the outside. For a typical core of three inches in diameter, we would remove at least the outer inch. Then, in very clean conditions and using clean tools, we would melt the inner part. 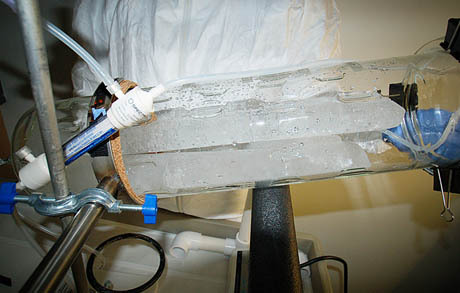 The second basic technique we use is to melt the whole core, using an apparatus that’s set up so that the ice that melts from the inside — the absolutely uncontaminated area — drips off into one set of bottles, and the melt from the outside goes into another bottle, for the kinds of measurements for which contamination is not a problem. IMAGE: Melting an ice core at UC Riverside, via. We’re developing a new technique that uses lasers to ablate the surface and draw a plasma off the surface of the ice, and then send that into a series of instruments. 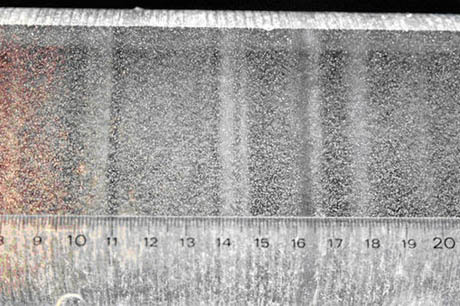 Using the scraping technique, the best you can do is probably about a one or two centimetre resolution. So, for example, if you were in the interior of Antarctica, you might get one or two years in one sample. If you were in New Zealand, obviously, you’d get a bazillion years in each sample. 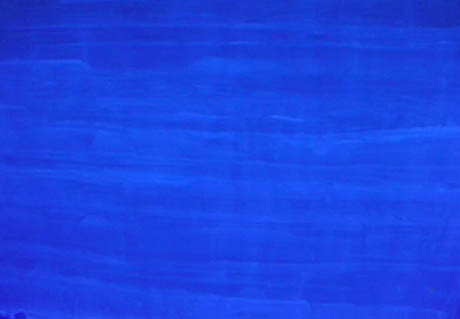 Using the melting technique, the resolution can go down to maybe about a centimetre — a little bit better than hand-scraping it. That’s a hundred samples per metre, and each sample doesn’t just give you one measurement, it gives you about thirty different measurements. With this laser technique, which we’re in the final stages of perfecting, we will get a hundred thousand samples in a metre. 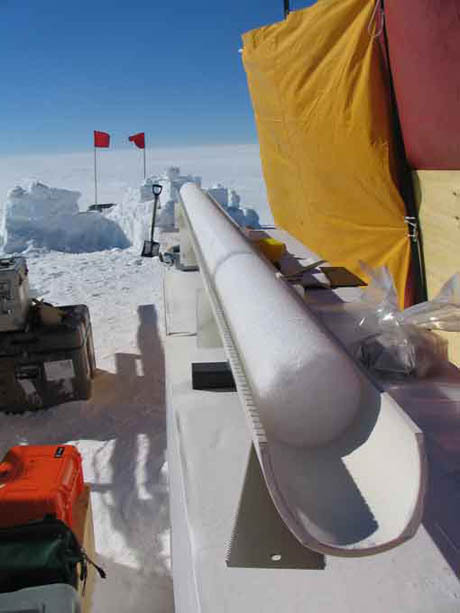 It’s going to be a quantum jump in the utilization of these ice cores as a tool for understanding climate. Edible Geography: Is there anything left of an ice core once you’ve studied it? Do you save some of it for future studies? Mayewski: It depends on the program. For a core that’s really hard to get — these deep cores — it’s definitely archived. The program that I ran in Greenland, which had twenty-five universities involved in it, was very, very expensive, and the core was of a particularly large diameter — a little over five inches — and it had never been done before. We archived between a third and a quarter of the core — although now much of that’s gone too, because as new techniques came out we redid our original analyses. For the hundred-metre cores that we bring back, we will typically cut it up and scrape it or melt it, and there’s either nothing left, or we have maybe kept a small piece. The laser technique has tremendous potential because even though you’re sampling up to one hundred thousand samples in a metre, it uses virtually no ice at all. You basically have an intact core at the end. 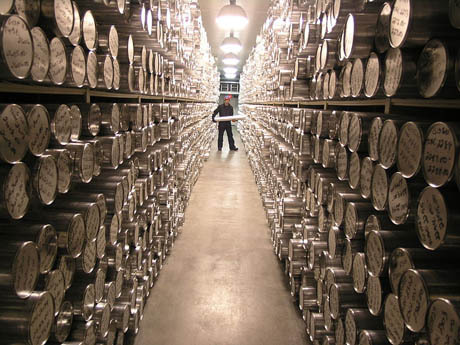 IMAGE: Inside the archive at the National Ice Core Laboratory, via. Mayewski: Yes, it really is. Edible Geography: But will it mean there are no leftover chunks to drink? Mayewski: [laughs] No, there are always plenty of occasions where slabs of ice are cut off and they’re not usable. Even in the case of the laser, we do have to cut off an outer section of the ice because it could be contaminated. I should be clear: it’s not contaminated in terms of drinking it; it’s contaminated in terms of the record. IMAGE: Still from Wall Street Journal science columnist Lee Hotz’s TED talk, Inside An Antarctic Time Machine. We’re looking at concentrations of chemicals that range from parts per thousand to parts per quadrillion, or 10-15. We have records from various parts of the world that we have used to demonstrate that the atmosphere is polluted and so you might think you couldn’t drink that water, because the whole point is that we’ve detected pollution in it. But these are the chemicals that have been traveling in the atmosphere, and so, yes, it might be a thousand times more polluted than the pre-industrial atmosphere was, but at the locations where we’re sampling it, in these very remote areas, the pollution has had a long travel distance and a lot of it has dropped out along the travel route. We’re looking at the very final fringes of it. We’re still seeing dramatically elevated levels, comparably, but it’s not anywhere near undrinkable. At the source, the water is potentially not drinkable. We drink water from the nuclear bomb test era, and it has small amounts of radioactivity in it, but you’re not being exposed to more than the level of radioactivity you have by walking outside and sitting in the sun for a while. I should say that we don’t necessarily specialize in drinking water from that era. 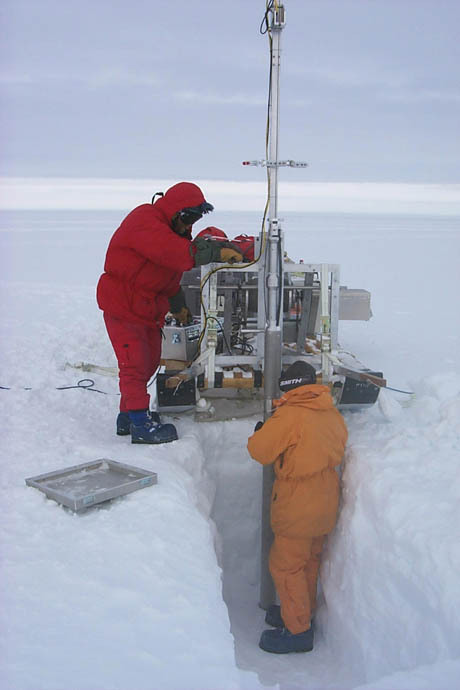 But we’re measuring this stuff in very, very remote areas and our instruments are very sensitive, so while the levels we detect are very low, in order for those levels to increase, they must be really high somewhere else — it’s just that they’ve dropped out along the way. In other words, we’re detecting the levels at a thousand times higher, which means they might be a hundred thousand times higher at the point source. 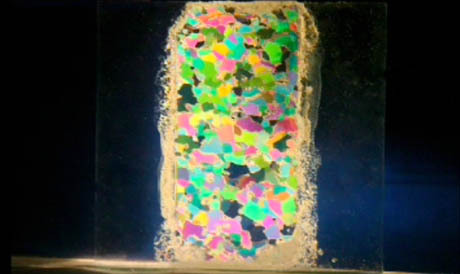 IMAGE: Polarised light on an ice core section. Still from Wall Street Journal science columnist Lee Hotz’s TED talk, Inside An Antarctic Time Machine. Edible Geography: Does drinking the ice core meltwater have any scientific value at all? Can you taste anything that tells you something? Or do you just do it for fun? Mayewski: It’s for fun. But, you know, it’s not as if we have a lot of ice lying around and we drink the water on a regular basis. We are pretty careful to restrict it to pieces that we know we don’t need for any measurements, and that come from places where they could be repeated if need be. We have to be sure that they’re not valuable to anybody. And we only use them for special events — we don’t drink it very often. Edible Geography: What does it taste like? Mayewski: It tastes about as clean as anything can taste. It doesn’t have a lot of anything in it. When you’ve pulled water out of a stream flowing from a glacier it would probably have a lot of nutrients and particles floating in it, because it comes from the base of the glacier. But if you’re sampling high up in the glacier, as we are, you’re only getting what the atmosphere has deposited over a very short period of time — maybe a couple of days or weeks. So it tastes very, very clean. Probably the most exciting thing about it is when you have real ice — that’s where the snow has been gradually compacted and eventually formed into ice, and the density has increased. When that happens, if the ice is old, it will often trap air bubbles in it. Those air bubbles can contain carbon dioxide from ten thousand years ago or even a hundred thousand years ago. And when you put an ice cube of that ice in a glass of water, it pops. It has natural effervescence as those gas bubbles escape. You get a little a puff of air into your nostrils if you have your nose over the glass. It’s not as though it necessarily smells like anything — but when you think about the fact that the last time that anything smelled that air was a hundred thousand years ago, that’s pretty interesting. It’s more about the feeling than the taste. IMAGE: Ice core showing annual rings, via. Edible Geography: How specific can you get with your ice drinking? Obviously, you can choose location, provided you have it and it’s not going to be needed — but can you choose a chunk from two hundred years ago, or one thousand years ago, or whenever you want? Mayewski: Yes, we can. One of the characteristics of a really good ice core is being able to count back year by year by looking at seasonal differences in the chemistry. For example, you tend to get more sea-salt in an ice core during the winter because the storms are a little bit stronger over the ocean and they carry sodium and chloride in. It’s as if it was a giant tree ring. We do know quite accurately, to the season or year, the age of the ice— as you go deeper and deeper there might be a plus or minus of a few years on it and, quite truthfully, for each piece we cut off, we don’t necessarily go to the effort of remembering exactly where it came from. Very often what happens is that we just have a bunch of chunks of ice, and people are quite happy knowing that it comes from roughly 2000 years ago and from the middle of Antarctica. Edible Geography: Are there any particular occasions when you’ve requested an ice-core? Mayewski: Oh yes — when I got married twenty-five years ago we had Greenland ice and Antarctic ice at the reception. Edible Geography: Were they served separately? Could guests choose between them? Mayewski: Of course! [laughs] You can’t actually tell the difference, but, of course, it’s got to be separate so that people can decide for themselves whether or not Greenland ice tastes different than Antarctic ice. Maybe to some people who are very discerning, it might — who knows? Edible Geography: What are you working on at the moment? Mayewski: I have a book forthcoming this fall. We’re hoping to release it as an e-pub as well as a hard copy — it will go through iTunes and Amazon. It’s called The Journey. I have another book that came out in 2002, which is called The Ice Chronicles. They’re both for a general audience, but my first one was more text than pictures, and this forthcoming one is about 120 pages of pictures and forty pages of text. The Journey is about how when I started this research in 1968, which was fairly close to the beginning of the field — we certainly weren’t the first people to drill ice cores but we were amongst the first to really start looking at them seriously — and right through the seventies and arguably even the early eighties, we assumed that places like Antarctica and the glaciers and high mountains of the world were unchangeable. And now, we realize that, firstly, they’re an immense resource to find out how the climate system has changed, and, secondly, that they are changing dramatically. It’s certainly about ice cores, but it’s also about that change in science, mixed in with the adventure of collecting these records all over the world. 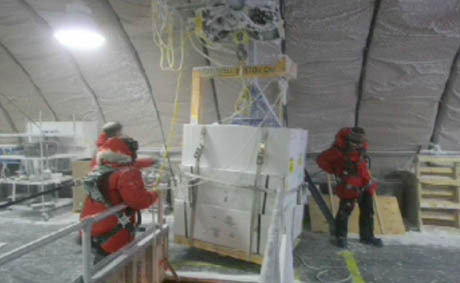 IMAGE: Moving boxes packed with metre-long ice core sections. Still from Wall Street Journal science columnist Lee Hotz’s TED talk, Inside An Antarctic Time Machine. 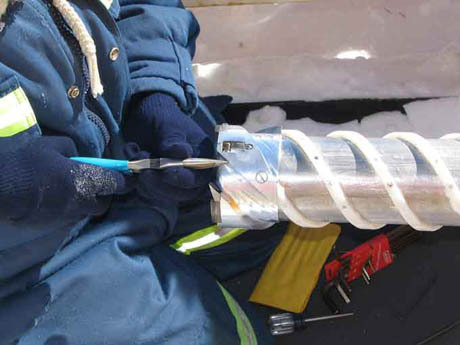 Edible Geography: Is there any place where you would like to drill for an ice core but haven’t been able to get to? Mayewski: There are tons of new places to go. The biggest concern that we have, actually, is that particularly in the high mountain regions outside of the polar areas, these glaciers are melting fast. I started working in the Himalayas in the late seventies, and we could collect viable records from about sixteen thousand feet. Now we need to go to twenty thousand feet. We’re going to run out of mountain height pretty soon, because of where the glaciers on these mountains are situated — you don’t have a big thick glacier sitting right on the top of Everest. As mountains get higher, they get steeper, and they don’t hold glaciers. With progressive warming, we are losing the records that we have been measuring. Edible Geography: So it’s sort of a race to get out there and get these cores while they still exist? Edible Geography: Are there any places that are currently inaccessible for political or logistical reasons, but hold a lot of promise for ice cores? Mayewski: Yes, there are. There are certainly mountain regions that might be high enough to preserve records in places like Iraq or Afghanistan. I’ve worked at the same latitude as Afghanistan, in Ladakh, India, which is a Muslim and Buddhist region in Northern India, and we got a really good record there. I know that there are probably good records in Pakistan and Afghanistan. There are potentially good records in Iraq where the mountains are high enough. Those are obviously hard places to get into. Even when I went to Ladakh, it was not such an easy place to get into. Then there are a lot of places that are just plain difficult to get up to. We’ve been trying to get up to some of those, in places like Tierra del Fuego and the Andes, and it’s tough. So there’s plenty more to do. In fact, I have two nearly finished PhDs sitting in the office with me here, who are going to probably spend the rest of their careers trying to find these sites. Edible Geography: Where are you going next? Mayewski: The next place I’m off to, along with several students, is the Andes, at about 19,000 ft. We’ll be there in February. This entry was posted in Interviews, Uncategorized. Bookmark the permalink. Trackbacks are closed, but you can post a comment. I understand that the ice forms annual layers, but I’m having difficulty getting my head around the fact that a P-38 went down in the summer of 1942 and was buried under 260 feet of ice. 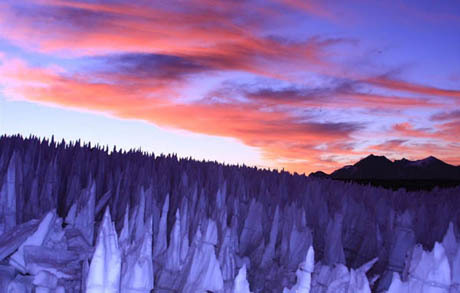 In the article above, it was stated that, “A hundred and thirty-eight feet down, there is snow that fell during the time of the American Civil War”. Using that information wouldn’t that date the aircraft to the Revolutionary War? I tried to explain it as the sun heating the plane and causing it to melt into the ice but that would only cover about 20 feet or so. Can you please help me understand the remaining 220 feet? I tried to contact the USGS but they have not gotten back to me.